1 cup small pasta tubetini, ditalini, stars, etc. *fresh dill ( I love the flavor) add at your own discretion about 1/4 cup minced fresh dill. 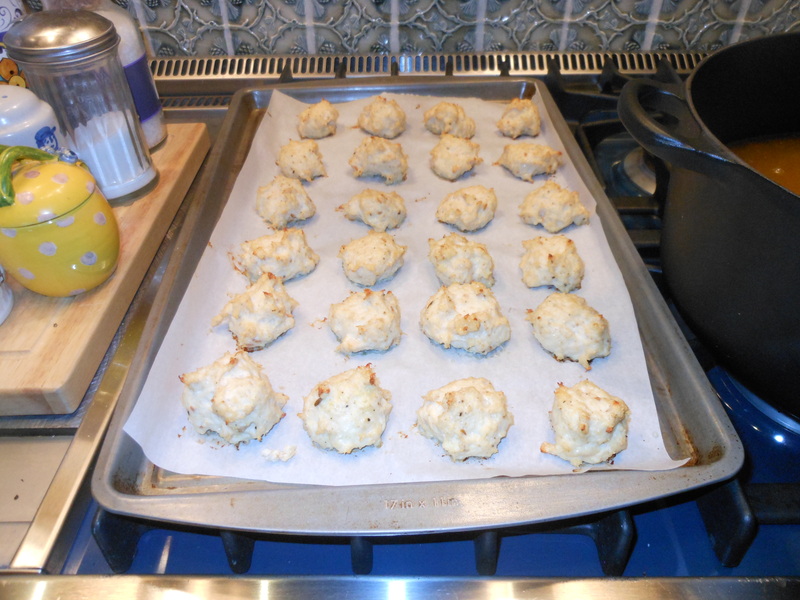 preheat the oven to 350 degrees put parchment paper on a cookie sheet. heat the olive oil over medium – low heat in a large heavy bottomed soup pot ( Le Creuset type pot) Add the onion, carrots, and celery and saute until softened, about 10 minutes, don’t brown. Add the chicken stock and wine and bring to a boil, at this point I let soup cook a while to soften the vegetables, app. 1 hour. ( a low simmer) if you’re in a hurry you can probably do the whole soup in 1/2 hour , veggies will be soft enough to eat. if some of the liquid evaporates you can always add a little more broth. Add the pasta to the simmering broth and cook another 6 – 8 minutes, until the pasta is tender. Add the meatballs and simmer for another minute or so. taste for salt and pepper. Stir in the fresh spinach and cook for another minute or so, the spinach will just wilt. Ladle into soup bowls and serve with freshly grated Parmesan cheese. 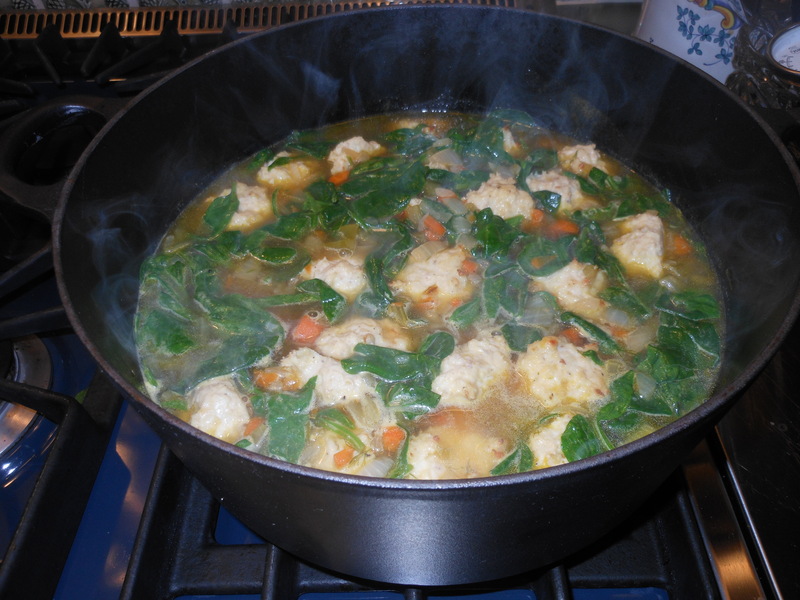 This entry was posted in chicken, pasta, soup and tagged healthy and hearty soup. Bookmark the permalink.